In its original version, Donizetti’s The Daughter of the Regiment is a light comedy with a military background: Marie, abandoned on the battlefield as a baby, has been brought up with an entire regiment of kindly comic-opera soldiers as her joint father. 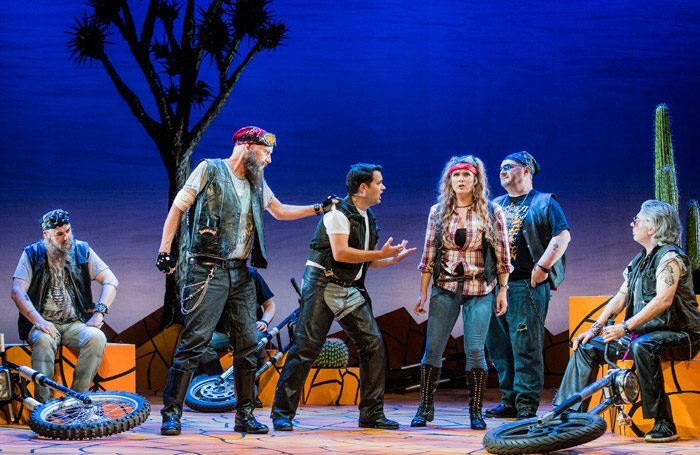 In Jeff Clarke’s version for his comic-opera specialist company Opera della Luna, The Regiment is a Californian biker gang – hard-drinking, hard-swearing men with soft hearts, who initially reject the man who loves her as a Hispanic immigrant, but then accept him as one of their own when they see that she loves him back. Graham Wynne’s spiky cactus desert set and Maria Lancashire’s costumes (where did she get all that denim and leather?) work a treat. Clarke’s revamped English-language text contains plenty of good jokes, and his sense of visual humour is helped over the footlights with some brilliant silent routines by Robert Gildon as upmarket butler/chauffeur Hortensius, invaluable foil to Katharine Taylor-Jones’ flawlessly manicured Marsha Berkenfield – the socialite who turns out to be Marie’s long-lost mother. Marie is a perfect role for Elin Pritchard, who revels in the tomboy personality straining at the leash when forced to behave in polite society: her singing is a continual delight. So is that of her boyfriend Tonio, played with charm by Jesus Alvarez, who rises to the famous challenge of nine consecutive top Cs in his showpiece aria with aplomb. Charles Johnston extracts every last ounce of juice from biker-gang leader Sulpice and Philip Cox delivers a sterling comic turn as heiress Dulcie Crackenthorpe; but the entire company’s clear enjoyment of the show proves infectious. 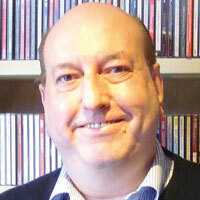 In the pit the Orchestra of Opera della Luna is conducted with style and panache by Toby Purser, who knows exactly how this entertaining score should go.